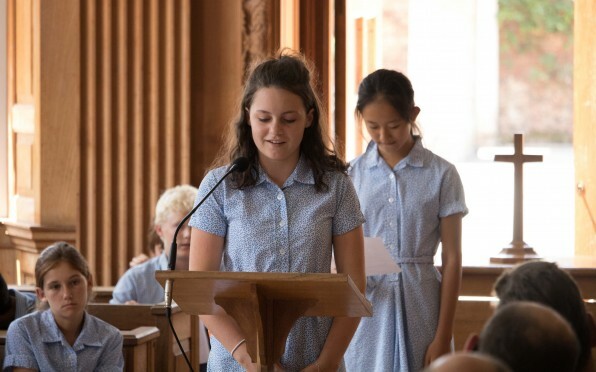 A touching moment in our end of year calendar is the leavers' service. This year was no different when our Class of 2018 shared their favourite memories of their time at school. Olivia: Good afternoon and welcome to the 2018 Leavers’ Service. We, in Year 6,7 and 8 who are about to leave have written the words to this service. We have been reflecting on our time here at Walhampton and we have chosen the readings and hymns that we will sing. I arrived at the start of Year 2 where I met Tashi and she became my lifelong friend and, since Year 3, we have been in the same classes. I am excited about Senior School and I will remember all the memories I have built here. I will remember my first riding lesson here, when I was riding Gammy, and I started crying because he was acting up. All the laughs and all the happiness will remain with me. As I grew up there have been multiple people who have become special to me and have helped me along the way. I want to personally thank Mrs Mann for, even when I was getting 3/10 for most of my Latin tests, she stuck by me and believed in me and I am happy to repay her by getting an A in Latin. I remember in Mull, when I got stuck in think mud and fell flat on my face when I tried to get out. Mrs Bates, thank you for helping me to realize my talent and I am proud to say I got a distinction in Grade 5, all thanks to you. As my time here draws to an end I can’t express my thanks enough. Boarding was really fun and as I leave Walhampton to move on I will leave memories here, thank you. I have been at this school for 6 years and CE was not the best part of it, neither were the long hours that were used for revision beforehand. But one of the best moments was walking into Mr Mills’ office and Mr Mills shouting at the top of his voice ‘you’ve passed’, and then I rushed off to the phone to tell me parents the good news. I started at the school in Year 6 when I afraid to say that I probably wasn’t the easiest kid to manage. I will never forget the happy memories of this school, from dragon boat racing in Year 6 to eating smores in the outdoor classroom. I will never forget all the happy memories I have had here and I would just like to thank my tutor, Mrs Mudd, for supporting me through my experience and I always cherish my memories of Walhampton. I have only been here for 3 years but this time has taught me a life’s worth. I’ve made friends, tried new things and had fun throughout. From Quidditch to finishing exams, I’ve loved it all. Finally I’d like to thank all the teachers for making this time worthwhile. Wow – what a time we’ve had! We have done things from cooking to coasteering to spending hour upon hour on our geography coursework ripping our hair out trying to make sense of it. My teachers have taught me so much over the four years that I’ve been here. When I first arrived I was this little shy, quiet girl from Sweden who found school a real challenge. But from it I learned how to use every opportunity given to me and that you should never forget Mr Stanley’s history homework or your history folder for his lessons. I learned the last one very quickly. Over my time at Walhampton, I have made lifelong friends through some very funny ways and explaining it would bring me to go on a five hour long rant on how it happened. I don’t have 5 hours so please be satisfied with the idea of me being stuck next to someone who has now become my best friend, Lizzie Jackson, on the bus to Cornwall for an art trip with Mr Nicholls, our old art teacher. After sitting next to a person for six hours on a bus it’s almost mandatory that you become friends. My other two closest friends, Tashi Pollock and Mia Sadler, I met through our mutual love of K-op and anime. Again I don’t have time to explain so if you want to know about it then I suggest you look it up. Overall I have loved my time here at Walhampton and I will treasure the memories forever. Thank you for everything. My time at Walhampton has been very uplifting. Let me share a memory from some of the years. In Nursery we learned to count to ten and play fait and NOT throw pens at each other. In Kindergarten I remember I got to hold a pen and I did it wrong! In Reception I decided not to listen so my teacher thought I was deaf. In Year 2 we learned how to do joined up writing. In Year 3 it was my first time in the Senior School. In Year 4 I cracked my head in John Lewis’ bed department which meant I had to miss the house swim gala. In Year 6 we split the sciences – I loved every one, biology, chemistry and physics. I have really enjoyed my time at Walhampton and I will cherish the moments I had here. My best memories at Walhampton are in boarding when we are playing a board game and the weekends at aqua park. Also when we are singing my favourite hymn – everyone was very joyful when singing. Also when I play Family IT?? From trend to trend I’ve been here since Nursery where we learned to count and to share. We also learned not to throw sand in peoples’ eyes. From Year 1 persuading our teacher to let you read fat books to Year 6 persuading your teacher to watch a movie. I have loved my time at Walhampton. Since Year 1, learning to read proper books, to Year 6 reading chunky chapter books. But I especially enjoy doing the gymkhanas in riding when I attempted to ride with no stirrups or reins and ended up on my face. I will really miss Wahampton but I will hopefully visit more after I leave. My fondest memories were when I was in Year 4 on expeditions week when we were building rafts and we got on. It was going alright until my barrel fell off and I was floating around in it until someone rescued me. I have very much enjoyed my time at Walhampton and it was mainly down to my brilliant teachers and amazing friends. I started at Walhampton in Year 4 and am now ending my time in Year 6. I have particularly enjoyed my riding gymkhanas, netball matches and Cavell/Elgar house parties. I will really miss Walhampton but I will cherish the lovely moments I have had there. I have loved my time at Walhampton since Nursery to right now, every single moment has been fun. One of the things I have enjoyed the most is riding because I love horses and I think it is fantastic that Walhampton is one of the few schools that have horses. Overall it has been a great time and I will really miss it here. I have thoroughly enjoyed my time at Walhampton mainly due to my amazing teachers and friends. Also I have loved it because of the awesome range of subjects and activities available. I started at Walhampton in Year 2 and I end my time in Year 6. I have loved the time I spent here and my favourite memories were probably when the U11 girls came 4th in IAPS and when Cavell won the house party after 3 years of not winning! I really miss being at Walhampton but I am also looking forward to moving to my next school and starting a new chapter in my life. I’ve been here since Nursery and it has been a real journey. Sure, if you are in Year 3 you look up and think Year 8 is years and years away, it is. But actually time flies by very fast without you realizing. You learn a huge amount of lessons at Walhampton from the amazing teachers, friendship wise and actual knowledge. Without the teachers in Nursery, I wouldn’t be able to count. Without the teachers in the senior department I wouldn’t have passed Common Entrance. Without the kitchen staff I wouldn’t have explored all the delicious food. All these people have chosen, as a job, to care for us. The amount of activities we could do during and after school is crazy – let alone expeditions. Recently it has been quite emotional, thinking about leaving. I’m totally grateful to my parents for sending me here. Hello, I’m DJ and I have been at Walhampton since Year 3. Over time I have done multiple things such as making truffles to playing quidditch on Harry Potter day. But, by far the best achievement that I have personally achieved is passing my CE. The hours of revising were painful but were very rewarding. Finally I would like to thank all the teachers that have taught me over the years. I am very, very, very grateful. I have been here since I was 2 and it has been my only school. I have made many friends and memories. Highlights of my time here have been expeditions, sports matches and Nursery, where I should have taken more advantage of the fact that I could sleep whenever I wanted. I will always remember Walhampton, especially the food. Walhampton has been an amazing experience for me and has prepared me well for the future. When I joined in Year 6 I didn’t know what to expect to be honest but I have enjoyed every bit of it. I have learnt so much at Walhampton and I am eternally grateful to all the staff, especially the catering team who have fed me for 3 years. The best experiences at my time here have been the expeditions, especially Mull, because the activities were so fun. Thank you Walhampton. I have been at this school since I was two years old. Even though I have not been at any other school I feel that this school has prepared me well for KES, which is the school I will be going to. Over the 11 year I have had many amazing teachers like Mrs Guest and Mrs Nicholls who have taught me so much. This school has provided new opportunities for me like tennis and golf. At this school I have had many friends and shared many memories. Expeditions week has been so fun. There I made friendships with people I hardly knew at all. Expeditions week has also provided amazing activities like rock climbing which I loved so much. I would like to thank the kitchen staff who have provided brilliant food over the years. Thanks a lot Walhampton. I have been at this school for 6 years and have loved every single day of it, from playing on the front lawn in Year 3 to going white water rafting in Wales. Although a lot of hard work and time has been put into my CE, in the end it was worth it for good grades. I am sad to leave Walhampton but happy to start a new chapter of my life. My time at Walhampton can best be described as one big adventure and like most adventures it has been a great journey. I will never forget the first time I met Mr Mills. We stood together on the front steps, side by side in silence, as he gestured an imaginary kaleidoscope of butterflies leaving my tummy and flying far, far way up into the sky along with my nerves. Since that day, the following years have not only been an academic journey but a sporting, singing, rapping, acting, painting, horse-riding, flag capturing, exploring, tray monitoring, snack eating, matron visiting, stag chasing journey! Even the actual journeys to and from school on the old faithful bus (OTR) have been fun-filled thanks to Rob, Dave, Mark and all the team. How many other schools make ice-cream pit stops or arrive decorated with banners and balloons on your birthday? My favourite all time memory – thank you Rob! Every expedition or trip has been a min adventure in their own right with vital new life skills learnt – like peacock herding and car key locating – ring any bells Mr Nish and Mr Westerman?! During my time at Walhampton I have grown in confidence, if not in height (!) and I have come to realize what a truly special place Walhampton is. I have learnt so much, not just in the classroom but far beyond. Although my time at Walhampton is coming to an end, I know that I will never forget this special place and all the kind, warm people in it who have joined me on this wonderful journey. Thank you all. I haven’t been here long, but for the time I have been here it has been good fun and some of the funniest moments I had when here must have been when Taijan was pushed down the stairs in Tavool and the plastic bar smashed along with the time spent in Arnhem and the laughs we had. I was worried about receiving my CE grades but I was delighted to achieve an A in physics. I have really enjoyed my time at Walhampton. I have been here for 11 years and have loved every moment. My best moment was having a war on canoes during the Year 4 expeditions week. I have been at Walhampton since Year 5 and have enjoyed my time here. I can remember when I first joined and how I am today. I have many memories here and the most memorable one was when I went down the stairs in a box in Mull expeditions week. 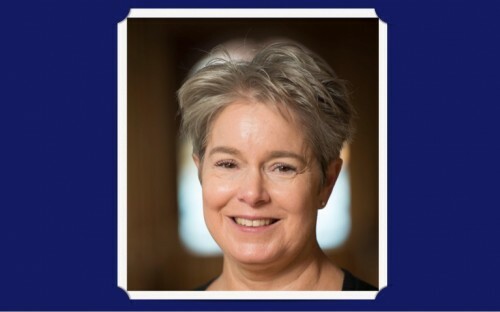 I have made many friends and I would just like to say thank you to Mrs Eaton for, throughout my time, helping me with my work and for making me who I am today – thank you. I have been at Walhampton for 3.5 years and I have enjoyed it immensely. Sport has been so much fun, especially when we go out into the woods to play flags. Expeditions at Walhampton is truly unique and I especially enjoyed Year 7 expeditions. Finally I would like to thank the teachers. I have been in Walhampton for one year but it has been amazing. When I look back in the future I will be glad that I come to the school. It gave me a first taste of the British culture. It is different from what I was used to and it is hard to be so far away from home but I still enjoyed it. I’ve tried many new things – I might not like all of them but they are great memories. I can’t forget how we were kayaking on the pond with Mr Westerman or running arounf the forest playing Flags with Mr Stanley. I want to thank all the friends and teachers who helped me in the past, especially when I just joined the school. I had a wonderful time here. I have been in this amazing school since Year 6. Those three years have been the best years of my life. I have thoroughly enjoyed boarding, the amazing food and the encouragement of the teachers. I have made lifelong friends and have been privileged to enjoy a long list of activities. I’m extremely happy about my exam results – I’m chuffed with my As in physics and RS. Common Entrance went really well. Well, I’ve only been at Walhampton for one year but I think it has been an exceptional experience and I’ve learnt lots of things from it since. I’ve met so many nice people and boarding has been really interesting and fun. Living with my friends has given me the opportunity to get away from my normal routine in Spain. Although it was a really big change for me and I have to say quite hard, I want to thank all the teachers for helping me adapt to this school and to Mr Miell for playing with us every single evening after lessons in boarding. I have lots of memories, like staying awake with my friends and talking until 2am in the morning and also getting caught by the teachers lots of times. When I first came here everything changed and there were ups and downs – my friends and the boarding staff helped me. This is an amazing experience. Thanks to my parents and grandparents for supporting me and giving me this opportunity, I am going to miss Tashi, Mia and others. Thank you to the boarding staff for supporting me in hard times. I am going to miss the school. Thank you very much. I hope I don’t get told off for this because I was writing it at 11.23pm in boarding when I should have been sleeping! Anyway, I wanted to say thank you to all my teachers. Firstly I want to thank Mr Stanley for excellent history lessons and also having to live through DJs jokes every maths lesson. Secondly, I would also like to thank the boarding house for having my back in every situation and I can’t express that enough – thank you! Also thank you for not finding my sweets. I would like to thank the Gappies for relating to me and for being my annoying siblings …..just joking. I personally would like to thank the Miells for being my second parents - on the other hand I having nothing to say……just joking, it’s an inside joke. Thank you Miss Woodhouse and Mrs Miell for the gossips on Tuesdays. A special mention to Mr Cullum for being the best and most supportive tutor ever and to thank Mrs Cullum for the best hugs in the world (sorry mum!). Finally my friends for being there for me when ever needed, for example staying up after lights out, Wow – I just really hope I don’t get told off. Sorry. I could not have asked for a better end of year. Thank you everyone. Staying up late in boarding with Marina, Jess, Olivia, Jemima and Sophia – playing Colditz with Lizzie and Sophia and making lots of noise whilst star gazing – getting told off for running in the courtyard – having deep conversations with Jess and talking about how much we wanted to just watch Netflix, sleep and eat with Mia. I will miss all those people a lot. I also want to say a massive thank you to some teachers. I want to thank Mr Cullum for his funny maths lessons – I’ll miss your jokes DJ. Mrs Miell and Mrs Woodhouse for the gossips before lights out. Mr Miell for letting me a couple of times into the boarding house. We had such good times dancing on the stairs, singing songs from Blood Brothers and thank you to Mrs Norris for her funny and interesting English lessons. Last of all I want to thank all the people in my year for such good times, I’ll miss you guys. I’ll also miss your hugs Jemima. Thank you so much for this amazing year. I’ve been making notes for this speech in my head since I joined Walhampton in Year 4. Memories range from the terrible loss of my favourite pencil, to the dramas of what to wear for the Christmas dinner! But my most treasured memories are of the wonderful friendships I’ve made here. I remember the PGL disco in Year 6, feeling sad as we realized it was our last disco before some of our friends went on to their new secondary schools. And now it is my turn! I also remember in the summer holidays of Year 5 hearing the exciting news that Mrs Mudd was to be my tutor. My parents often remind me of the huge grin I had on my face after my first tutor time. I was buzzing! I’d made Mrs Mudd and apple & blackberry crumble to make a good first impression – displaying my strange and creative mind. Since then the bond between Mrs Mudd and I has got stronger and stronger. Annabel and I have even developed the Muddle Cuddle – the name we gave to our regular hugs with her. And, if I’m ever down, I go to Mrs Mudd for the muddle cuddle and suddenly everything is fine. I’ll be honest, a special hot chocolate with the wonderful Mrs Rea also has a great impact on my recovery too. I can’t start listing all the teachers as my speech is already way too long. So this thank you goes to simply everyone that has had something to do with my journey through Walhampton . I’ve learnt so much from you and from being here and it has made me who I am today. I have been settled into Walhampton for 1.5 years. I settled down quickly when I first arrived. I had lots of help from friends and teachers. There are so many opportunities in school which is lots of fun. I have made many good friends and tried a lot of new sports at school. I will miss Walhampton forever. Hello. I joined in Year 5 and I have really enjoyed my experience. It has become a second family and my friends are all special to me. All the teachers have given me support through the years. In the lessons they would take us into the grounds and we used to have so much fun outside. My favourite lesson is sport and I have enjoyed it so much and leant so much that I want a career in sport. Also I love going on expeditions week – the best ones were Mull and Wales. I love throwing myself into things like coasteering and jumping into the freezing cold water. I will always remember when Mr Mills called me into his office and told me that I had achieved my sport scholarship. And again when Mr Mills called me and said that I had successfully got into King’s Bruton and got really good results – just what I wanted! I loved boarding with my friends and it was always exciting when Mrs Miell told us it was tuck night. I always loved swimming and playing on the front lawn. In my rounders sessions with Mr Miell and Isabella playing a fun game which we made up called drip drip drunk. Basically it is a combination of duck duck goose and water combined. I just wanted to say thank you to all the staff and to my parents for bringing me up through the school and having the time of my life. I will miss all the teachers and all my friends and will hopefully keep in touch with them. Thank you all for supporting me through rough and tough times. 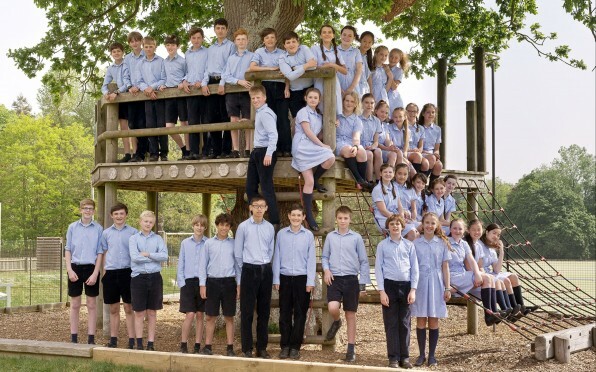 My experience at Walhampton has been fun, difficult, interesting and exhilarating – other than that it would be near impossible to explain my time here so – in order to do it – I will talk of my great times here from Year 3 to Year 8. From playing my first match in Year 3 to falling in a rock pool at Mull to receiving Captain of cricket to waiting on the side of the road for the AA on the way back from a cricket tournament. I have too many great times to count and I thank Walhampton for that. My time at Walhampton has been one of the best times of my life and has been a really memorable experience. One of my favourite memories was actually my first day. I remember being very shy and I was worried about what the other children would be like. I was starting in January of Year 5 and when I walked into the classroom I was greeted by several excited faces. I immediately found people who welcomed me with open arms and looked after me. I want to thank everyone who looked after me during that time and everyone I have met on my journey here and I will never forget my time at this wonderful school. Thank you. This year at Walhampton has been one of the best years of my life. I’ve made new friends and I’ve learnt so many things. I think I’ll miss this school a lot and I’ll miss my friends and the teachers. I have really good memories of this school, in boarding, in the activities we’ve done and in everything. I hope I can come and visit. My year at Walhampton is coming to an end and the best moments I’ve had have been with friends. I’ve had great fun in boarding, at the weekends going to Splash Down and inflatables with candy floss. I’ve also enjoyed some lessons, for example when we recreated the Battle of hastings or when we went to Lulworth Cove for Geography. The last thing I want to say is thank you to all the teachers and friends that have helped me through my year at Walhampton. My best memory at this school is the time when my friends helped me when I was very stressed with history and R.S homework and they helped me do them. My second memory is the times we went to water parks with lots of slides. My third is when I was in my room with Cohen and there was a storm that scared him and we had to help him. My time at Walhampto has been awesome. I enjoyed the sports and my friends Rodrigo, Carlos, Luca, Alex etc. I mostly want to thank Luca and his parents for inviting me to their house. I also want to thank all the teachers and mostly the boarding staff because we had lots of fun and they made me feel at home. But mostly I want to thank my parents for giving me the chance of being at this school. It has been the best two years of my life and Real Madrid have won the Champions both of those years so A La Madrid and A La Walhampton! My family and I have been going to this school for 17 year and today is one of the last days that someone in our family is a pupil here. I have so many good memories here like doing PE in Pre-Prep with Mrs Morris and dancing to the ‘Penguin Song’. I want to thank the teachers, my friends and the nurses because you have always been there for me and I wouldn’t be where I am without you. I am going to miss everything including the ponies and the terrapins. I will also miss all of the fun inter-house competitions like pancake races and the swimming. And of course I want to say a massive thank you to my incredible mum for giving me the opportunity to come to this school. It is crazy to think that it has been 11 years since I first walked (or was carried) into Mrs Tudor’s Nursery class in 2007. One year later it was Kindergarten with Mrs Holly, then Reception with Mrs Waller an d Mrs Furneaux-Reed and then Year 1 with Mrs Lack. I still have my ladybird pencil holder and remember Mrs Furneaux-Reed’s soft hoodie, perfect for mid-break hugs. Then came Year 2 with Miss Stoyle, class dojo and pie in the sky. That year was great fun as with her being pregnant and me with type 1 diabetes, we snacked all through our lessons! Some of my fondest memories of Pre-Prep are being excited by my role in the nativity of a donkey and being with my friends who I will never forget. I want to thank my Pre-Prep teachers for giving me skills I needed to move on academically and for giving me self-confidence. Prep School was full of memories that I will treasure but I have condensed them as far as I can. My most memorable drama production was Hagbanes Doom, where I played Tilly Trotter, part of a family of badgers. It showed how much this play was engraved on our minds when, whilst writing their speeches, Annabel, Jemima, Emily and I burst into song and sang ‘Mighty Mice’. Finally I want to talk about sport and one Coach in particular. The proudest moment in my sporting career was when I became rounders Captain. This was not only because I got to lead a team of talented girls through thick and thin but also I could be second in command to Mr Miell. Mr Miell has been a friend as well as a teacher and Coach. I admire him for putting up with my stubborn nature and for how much trust he puts into each and every soul on the team. I don’t know where to start. It has been 11 years since I was first carried into Nursery, clinging onto my mum’s legs like Velcro. The following day I managed to fall over and gash my head, however I can honestly say that it was the only bad day at Walhampton in 11 years, but not that bad as I did get a purple teddy. One of my first memories at Walhampton was being pulled around in the wooden cart, of course being the smallest I was always in the cart, never pulling it. My creative side has never been my strong point and whenever I brought my amazing artwork home it somehow found its way into the bin – how could you mum? Walhampton stretches your imagination to the full and I have been all kinds of characters from a mighty mouse in Hagbanes Doom, a narrator in Jonah and the Whale, a flower in Alice in Wonderland, and a Gruffalo on World Book Day. I have done numerous nativity plays in my time at Walhampton and have finally got to grips with the story. Walhampton has been full of adventures and surprises. I have experienced 6 expeditions weeks which have all made me step out of my comfort zone. When I have a tough day the teachers have always been there to cheer me up. Yes Mr Miell, that is you, running like Phoebe from friends, sticking your neck out to cross the line and joining us for lunch. Walhampton has given me fantastic opportunities and I have met friends for life. Jemima has been there from the start through thick and thin, supporting me in every way she can. Although she has always been that annoyingly taller and smarter friend. Leaving Walhampton is not going to be easy but knowing some of my friends are coming with me to my next school makes it that little bit easier. I would like to say a big thank you (from a little Emily) to all the brilliant teachers who have helped me reach all my goals whether they be sporting, musical or academic. I have been at this school for 11 years with my three other siblings. I have had many memorable times with my friends – some of them with my some of my oldest friends who I have known since I started. It has been my privilege to be able to enjoy Walhampton for so long. The school has also helped me to come on academically. I’ve been here since I was 2. Walhampton is practically my second home and I have made all my amazing friends here such as Mia. The school food is great and I’m going to miss all my friends. I’m going to miss you and I hope to keep in touch. I will be sad not to ride for Walhampton anymore and I will compete for the last time in October. I hope that I will still see the team out competing. Mrs Mann, thank you for teaching me Latin, it is now one of my favourite subjects and I wish to do it for my GCSEs. Mrs Glennie and Eve, thank you for teaching me riding and for giving me the Best Rider trophy. Madame Perry, thank you for letting your tutor group listen to music during CE week when we were stressed. Having been here for 11 years I have so many memories and have so many people to thank. Walhampton thank you for giving me the best 11 years of my life. I have been at Walhampton for 11 years now and I have loved every moment of it, from playing in the sand pit in Pre-Prep to Gorge Walking in Mull, I will remember all of it. I have been very privileged to come to such an amazing school and being given the chance to go on expeditions and play sport with a view of the Isle of Wight. I would like to thank all the teachers for getting me to where I am today and for helping me successfully complete Common Entrance. Sorry in advance for the tears and don’t say I didn’t warn you. Thirteen years since I was born and 11 years since I joined Walhampton and not one moment was spent unhappily. Looking back on my time in the Juniors, I think about being in Mrs Cox’s class and having the coolest desks and also listening to Roald Dahl books with Mrs Myles and talking about holidays. My Senior School years some of my favourite memories to look back on. Sophia, I love looking at how weird we were and still are. Mrs Nicholls helped Jess and I become the positive’ish people we are today and Mrs Mudd is the best tutor, school mummy and friend I could ask for – I will miss her so much. Thank you for giving me Muddle Cuddles when necessary, or just wanted, and thank you for giving me advice on everything and you’re welcome for the clothing advice. I will miss the eyebrow chats between me, Jess and Mrs Mudd and I will miss admiring them! And thank you to every teacher who has taught me at Walhampton or who has said hello in the hallways. I’m going to miss all my friends whether we were close or not, I will miss you all so much and, as you wanted Marina, xiomana, I will miss you. I have been at Walhampton for 11 years. It has been my only school and it has always been great. I have made many friends and memories. My best memories were expeditions and in the Pre-Prep when I just played with pasta and in the sandpit. But now I have had a great time making truffles. I will always remember these great memories at Walhampton. Having been at this school for 11 years, you would think that this would be easy but it’s not. I have had so much fun here but what has brought me the most joy is the people. I am fortunate enough to be moving on to a brilliant school with some amazing friends. A special mention goes to Emily for always having my back. You have been an exceptional friend and I hope that you will still need and want my help next year – if only to reach a few things that are out of your reach! A thank you should go to Mr Miell for always making me l=laugh, wherever we are: exam weeks, lunches or activities. To Mrs Miell and Mrs Cullum for helping me in boarding and giving the best hugs. To Madame Perry for being a great tutor and helping me find the many things that I have lost. And to Mr Stanley for choosing me as the pigeon and then the donkey in the battle re-enactments. However the biggest thank you should go to the rest of Year 8. I have loved our year group and will miss it loads. As I leave it’s the times with friends in Mull, Wales and all sorts of other places that I will never forget. These times I will miss. Walhampton allows us to thrive in this quote, it gives us opportunities to show the school our talents such as the senior productions. We have been allowed to grow within these privileged grounds and always be curious. They say home is where the family is which enforces that Walhampton is home as I have spent almost 10 years with friends who are now part of my family. Also my real family – Lauren, Scarlett and Pierce – have helped me on the way. I want to say thank you to Mrs Mudd for sticking with me these last three years through thick and thin, also to Mr Stanley for helping me in my subjects when I struggled. I want to also thank all teachers who have ever taught me including in Pre-Prep. This school will always be a part of me that I will never forget. Thank you mum and dad for everything you have helped me with. 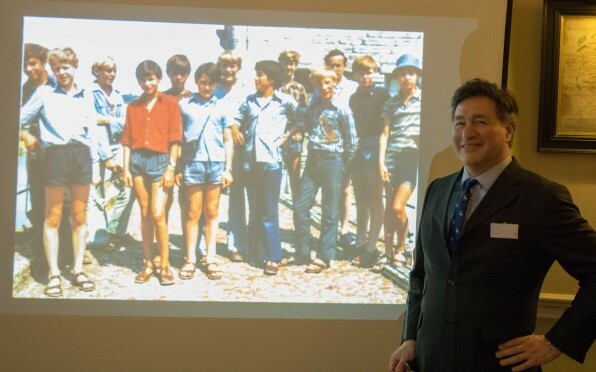 At our recent alumni reunion in London, Saleem Shamesh spotted himself in a school trip photo - read his account of that expedition through France. Welcome to the Class of 2018! We are proud of all that our Year 8s have achieved this year and warmly welcome them to our Alumni Community! Page generated in 0.257 seconds.